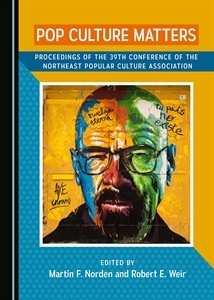 The Northeast Popular/American Culture Association (NEPCA) is seeking papers on the subject of television for its annual fall conference to be held on the campus of Keene State College on October 21-22, 2016. The deadline for proposals is June 15, 2016. NEPCA prides itself on holding conferences which emphasize discussing ideas in a non-competitive and supportive environment. We welcome proposals from graduate students, junior faculty and senior scholars. NEPCA conferences offer intimate and nurturing sessions in which completed projects as well as new ideas and works-in-progress can be shared. NEPCA Fall Conference information, including proposal form and other instructions, can be found at https://nepca.wordpress.com/2016-conference/. (Other subject areas can be found there as well). The deadline for proposals is Wed., June 15, 2016.